Take a look at 5 trendy hairstyles for women with short hair. This monsoon, look sizzling hot at weddings and parties! Are you getting married or attending a monsoon wedding? Do you have short hair? Are you tired of the typical blunt, bob or lob hairdo? Do you want a chic and versatile hair makeover? Trying an updo with short hair length has been a struggle so far? Then, you have all the reasons to cheer up. Today, we bring to you 5 trendy hairstyles to sport this rainy season. Whether it’s a casual evening party or a mehndi of a friend, you can flaunt these hairstyles flawlessly. From straight to curly hair texture, from oval to square shaped face-cuts, these hairstyles are easy-to-do and suit all textures and face-shapes. Let’s check them out now! Also know as a voluptuous bob, this hairstyle is best suited on all face-shapes. Edgy and stylish, the sweptback bob hairstyle has an uneven but interesting texture. Pulled from the front and often backcombed, this versatile hairstyle adds so much intensity. You can look gorgeous in this hairstyle at daytime functions as well at a cocktail party. Highlight your eyes with a black smokey eye makeup look and that’s it! You are ready to rock. 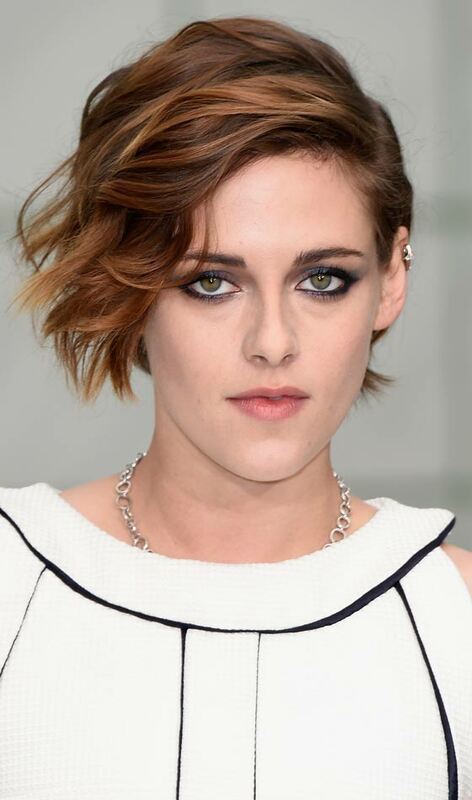 There are plenty of updos for long-length hair but just a handful of women with short hair. However, there is one thing for sure. Buns, chignons and updos typically take a little less effort but, in some cases, a lot many hair pins. This braided chignon is so elegant and romantic. Easy-to-do and stylish, you can sport this look with a saree, lehenga, anything traditional, really. 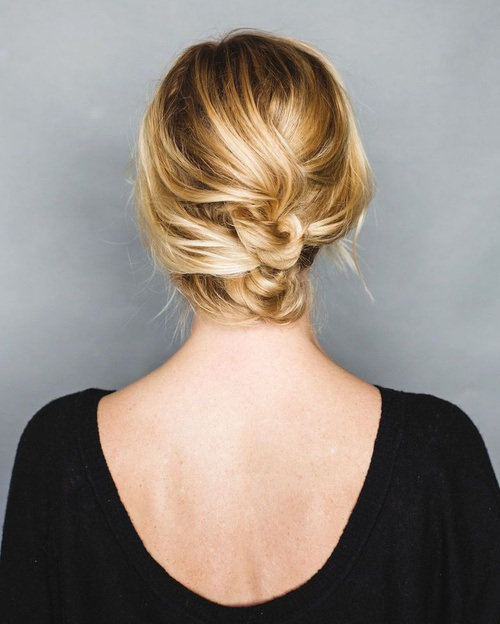 Absolutely ravishing and trendy, a slick triple bun is also easy-to-do if your hair is curly. A triple bun can work very well on short to shoulder-length hair. You can tweak it as per your liking as well. For instance, have a triple braided bun instead or opt for a Star Wars inspired look. When you are in doubt, wear this hairstyle in style. Best suited for an oval-shaped face, you can kill the mundane look by adding a little something extra such as an adorable fringe. Wear a stylish designer saree or an Anarkali suit and a maang tikka as a hair accessory to accentuate the middle part. This one is a bit daring, a bit dreamy and quite boho-chic. If you have short hair and oval-face-cut, then you can’t really go wrong with a side-swept bob. You can also re-create this hairstyle by opting for a tweaked haircut. Adding volume for the beachy look is the most preferred variation. Team it up with an Indo-western outfit, gowns or better still, a designer saree with a halter neck. Long earrings are bound to add more glam to your overall look.